A young nurse from Kerala who treated the Nipah virus patient before dying scribbled a heartfelt note for her husband. "I am almost on my way, take care of our children..." Lini Puthussery wrote who was in a hospital isolation unit for victims of the deadly new Nipah virus. Lini did not get to see her family for one last time. Her body was cremated quickly on Monday so the infection wouldn't spread. 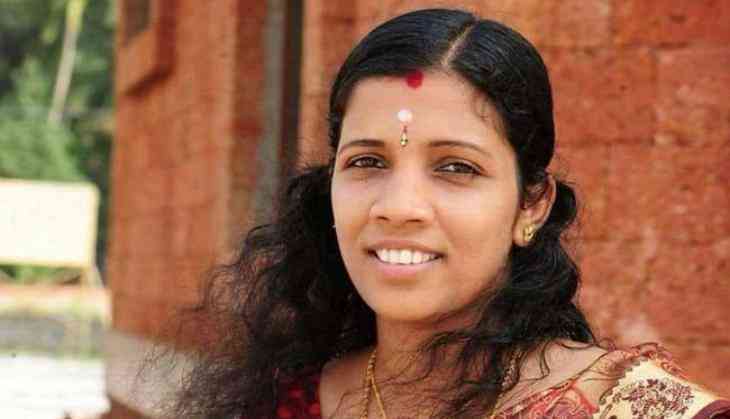 The brave Kerala nurse, Lini was a mother of two children, aged seven and two. She was in the team that treated the first victim of the virus at Perambara hospital in Kozhikode. "Nurse Lini died in our battle against the Nipah virus. She died trying to save patients infected by it. She was just 31 and was a mother of two little kids. If she is not a martyr, I don't know who is," tweeted Dr Deepu Sebin, chief executive of daily rounds, a network of doctors. The Perambara hospital confirms that the nurse was cremated soon after her death, with her family's consent, and no one could meet her. "We can confirm that five people have died from the Nipah virus," Kerala state health surveillance officer KJ Reena told news agency AFP. According to reports, the Nipah virus or NiV infection, spread mainly by fruit bats, has symptoms like breathing trouble, brain swelling, fever, headache, drowsiness, disorientation and delirium.A patient can fall into a coma within 48 hours. It travels through direct contact with a patient. There is no vaccine for the virus yet, says the World Health Organisation. The main treatment for those infected is "intensive supportive care", according to the UN health body. Near about a dozen more people have lost their lives after suffering from high fever and other symptoms of the virus in Kozhikode and neighbouring Malappuram.